SINCE he took over as China’s leader in 2012, Xi Jinping has been a busy globetrotter. Last year he visited more countries than Barack Obama, America’s president (14 against 11). Heedless of whether his hosts are powerful, puny or pariahs, he has flown everywhere from America to the Maldives and Zimbabwe. Mr Xi wants to project China’s rising power—and his role in promoting that—to foreign and domestic audiences. But until this week, he had not set a presidential foot in the Middle East. The timing of Mr Xi’s tour is tricky. Tensions between Saudi Arabia and Iran are particularly high after Saudi Arabia executed a Shia cleric earlier this month and angry Iranians responded by storming the Saudi embassy in Tehran. But the lifting of Western sanctions on Iran on January 16th (see article) allowed Mr Xi to display even-handedness by visiting both countries, without upsetting Western powers. Mr Xi, like his predecessors, likes to present China as a non-interfering champion of peace. (Xinhua, China’s state-run news agency, said this week that the West’s “meddling hands” were “more of a mortal poison than of a magic potion” in the Middle East.) But Mr Xi is not keen to play a central role as peacemaker. China’s first “Arab Policy Paper”, released on January 13th, is a vague, waffly document. It talks of “building a new type of international relations”, but is devoid of new ideas. Zhang Ming, a vice-foreign minister, said this week that economic development was the “ultimate way out” of conflict in the region. By expanding its trade and investment links with the Middle East, China hopes discontent and conflict there will gradually dissipate. In addition to crushing dissent, it is trying a similar approach in Xinjiang, a province in western China with a large Muslim population—so far without success. CHINA’S biggest military shake-up in a generation began with a deliberate echo of Mao Zedong. Late in 2014 President Xi Jinping went to Gutian, a small town in the south where, 85 years before, Mao had first laid down the doctrine that the People’s Liberation Army (PLA) is the armed force not of the government or the country but of the Communist Party. Mr Xi stressed the same law to the assembled brass: the PLA is still the party’s army; it must uphold its “revolutionary traditions” and maintain absolute loyalty to its political masters. His words were a prelude to sweeping reforms in the PLA that have unfolded in the past month, touching almost every military institution. The aim of these changes is twofold—to strengthen Mr Xi’s grip on the 2.3m-strong armed forces, which are embarrassingly corrupt at the highest level, and to make the PLA a more effective fighting force, with a leadership structure capable of breaking down the barriers between rival commands that have long hampered its modernisation efforts. It has taken a long time since the meeting in Gutian for these reforms to unfold; but that reflects both their importance and their difficulty. The PLA itself has long admitted that it is lagging behind. It may have plenty of new weapons—it has just started to build a second aircraft-carrier, for instance—but it is failing to make effective use of them because of outdated systems of command and control. 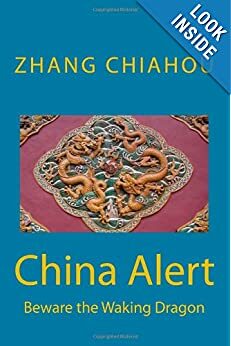 Before any substantial change in this area, however, Mr Xi felt it necessary to strengthen the party’s control over the PLA, lest it resist his reforms and sink back into a morass of money-grubbing. The reforms therefore begin with the main instrument of party control, the Central Military Commission (CMC), which is chaired by Mr Xi. On January 11th the CMC announced that the PLA’s four headquarters—the organisations responsible for recruiting troops, procuring weapons, providing logistics and ensuring political supervision—had been split up, slimmed down and absorbed into the commission. Once these were among the most powerful organisations in the PLA, operating almost as separate fiefs. Now they have become CMC departments. The political headquarters was the body through which the party kept an eye on the ranks and ensured they were up to speed on Maoist texts and the party’s latest demands. The loss of its autonomous status may suggest that the party’s role is being downgraded. Far from it. Now the party’s CMC (there is also a state one, which exists only in name) will be better able to keep watch. The body’s 15 new departments will include not only departments for politics but also for logistics, personnel management and fighting corruption. Mr Xi has already turned his guns on graft, imprisoning dozens of generals. The second reform has been to put the various services on a more equal footing. The land forces have hitherto reigned supreme. That may have been fine when the PLA’s main job was to defend the country against an invasion across its land borders (until the 1980s the Soviet Union was considered the biggest threat). But now China has military ambitions in the South China Sea and beyond, and wants the ability to challenge American naval and air power in the western Pacific. A recent editorial in the Liberation Army Daily, a PLA mouthpiece, berated the armed forces for their “army-centric mindset”. In addition to those for the navy and air force, a separate command has now been created for the army, which had previously run everything. On December 31st the CMC also announced the formation of a command responsible for space and cyberwarfare, as well as one for ballistic and cruise missiles (previously known as the Second Artillery Force, part of the army). There is also a new joint command with overall control of the various services, a little like America’s joint chiefs of staff. Big changes are also afoot in regional command structures. China used to be divided into seven military regions. These were powerful and relatively self-contained; sharing or swapping troops and equipment was rare. Now, according to reports in the South China Morning Post, a newspaper in Hong Kong, the number will be reduced to five. Troops will be recruited and trained by the various services before regional deployment. This will ensure greater central control over the regions. China has been talking about military reform for decades, but change has been glacial. Opposition within the armed forces has been intense. “If [reform] is not done properly,” wrote Sun Kejia and Han Xiao of the PLA National Defence University last month, “it could affect the stability of the armed forces or even all of society.” (The article was promptly removed from the Liberation Army Daily website.) Demobbed soldiers could make trouble—Mr Xi wants the number of troops to be cut by 300,000. State firms have been ordered to reserve 5% of jobs for laid-off veterans. The recent reforms are more extensive than most Western observers had expected after the Gutian conference. But even so, they are incomplete. The army still holds sway over some appointments (all five chiefs of the new regional commands are army generals, for instance). The PLA has traditionally given higher status to combat units than to those providing communications, logistics, transport and the like, a misplaced emphasis in an age when information and communications are crucial in warfare. The reforms do little to correct that bias. Moreover, many details about them remain unclear. No one knows, for example, where the troop cuts will come from or what units will go into the new space and cyberwarfare command. The first result of the reforms is likely to be confusion in the ranks, until the new system settles down. Dennis Blasko, an American observer of the PLA, says no one can be sure of the results until they are tested in battle. Amid the murk, only one man clearly seems to have got his way: Mr Xi. Last year saw more attention to Chinese President Xi Jinping as China’s paramount leader, including what many observers have seen as a cult of personality. The economy may eclipse politics as a concern for Beijing in 2016, but in China the two are always closely intertwined. Here are the three major political questions that will loom over the Xi leadership in the months to come. Is it time for thelong-running anticorruption campaignto shift its focus? 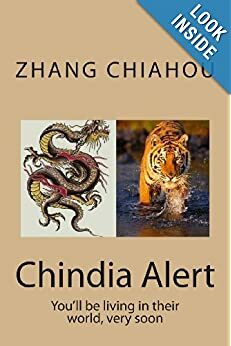 In laying out a vision for his anti-corruption drive in 2013, Xi Jinping vowed to go after both high-ranking “tigers” and low-level “flies.” So far the campaign has been fueled by the takedowns of a procession of big cats – but there are signs that a change is in the offing. There’s upside to an increased focus on local cadres and others at the insect level. For one, it would send a signal to doubters that the anti-graft campaign is genuine, not just a way to purge Xi’s political enemies. It would also help Xi score points with regular citizens and reform-minded officials outraged at the pervasiveness of corruption in China. But there’s also a political risk. Already, the current crusade has compelled many officials to hunker down and sit on their hands to avoid attracting attention – a phenomenon that has slowed policymaking. Likewise, many developers remain wary of starting new projects that might aid an ailing economy because they’re still not sure what’s permissible in the new environment. Broadening the anti-graft campaign could handcuff policymaking even further, because cadres will spend time looking over their shoulders, and entrepreneurs, wondering about political support, will wait until the dust settles before embarking on new commercial initiatives. What sort of politics does China want to practice? Xi Jinping and Chinese Premier Li Keqiang agree on a great deal, but they have distinctive notions about how to build a better China. Xi believes that China’s political future rests on a reassertion of the party’s rule, preventing potential challenges from social groups, and convincing citizens and cadres alike that the government stands for something more than just nationalism — that socialism is still relevant but needs to be recast in ways that appeal to society. Li appears to see his political mission differently. In his eyes, ideological renovation is far less crucial to the country than administrative restructuring and being a more efficient and approachable government. It’s innovation, not rectification, Li argues, that will secure the Party’s legitimacy. From experimenting with new ways to measure China’s actual economic performance to making bureaucratic requirements easier for citizens to meet, Li has created a profile for himself that challenges the prevailing political course being set by Xi. While Xi wants more control over society, Li argues for less oversight and regulation in China’s economy and bureaucracy–making it easier for businesses to start up and succeed as a way of preventing social pressure from becoming a political threat. Thus far, the policy divide between Xi and Li hasn’t resulted in political warfare. But some lower-level cadres are increasingly perplexed about which template to follow: They’ve been quietly pressing for clarification about whether they should be focusing on being better Communists, or on building a more efficient and responsive government. It’s not clear how they can accomplish both, especially when they’re under the anticorruption microscope. The economy could catalyze conflict here. If slower growth turns into a tailspin, Li and his allies will surely press to have their agenda for change adopted more widely, and argue that the current strategy of “politics before economics” championed by Xi isn’t working. Xi and his comrades won’t concede the political high-ground they currently occupy without a fight. Xi and Li have been doing a fine job of sharing responsibility up to now, but the divide in their approaches is getting wider, and the challenges China faces will very likely compel one model to be adopted at the expense of the other. What happens if resistance to Xi’s reforms becomes active political opposition? Xi’s efforts to centralize party control over the economy and society have been ruthless. Even the hint of organized opposition to party policies has brought out the truncheon swingers, with censorship or jail awaiting those who propose an alternative political path for China. Observers who see Xi’s main opposition as coming from the Chinese street are looking down a now-empty avenue. They should be paying attention to disquiet within the ranks of officialdom. The boldness and breadth of Xi’s reforms have led some in the party ranks to wonder privately about—and even openly question—whether his handling of China’s challenges has always been correct. For example, there are some who contend that the anticorruption campaign has placed too much power in the hands of discipline inspectors and unnecessarily disrupted the status quo (in Chinese). Some of that scrutiny concerns Xi’s efforts to reinsert the Party more fully into economic and social life, a move that risks stoking discontent in a populace that has grown used to a certain level of leeway in recent decades. 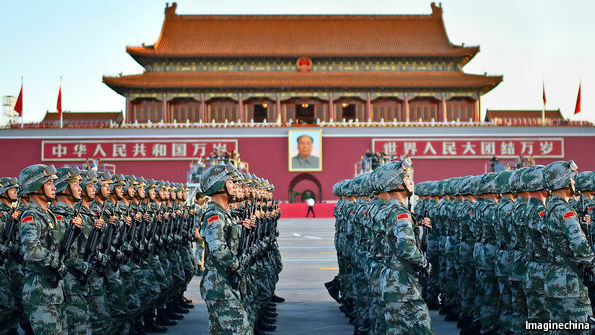 There are also those within the political apparatus who see Xi’s recent restructuring of China’s military as courageous but more aimed at quelling dissent from the armed forces than rejuvenating strategy and doctrine. Even Xi himself has noted in a recently released collection of internal speeches (in Chinese) that not everything he has been doing has been met with universal acclaim within the Communist party. Murmurs of discord have reached a level in recent months where a number of officials have been punished for “improper discussion” of Party policies. Thus far, the angst, anxiety and antagonism within the government to Xi’s reforms remain unorganized. That’s because no one has proposed an alternative strategy for dealing with the nation’s many challenges that would unify the disaffected to act against Beijing. Social activists have little political support from above; annoyed cadres are afraid that any move to form a coalition could plunge the country into civil unrest. Xi and his allies have been as determined as they’ve been daring in following their own reform path—and their success in getting their way politically has been remarkable thus far. The most pressing question for this new year is whether what has worked thus far will continue to do so—or whether the disaffected in China start believing that their leadership may have begun to run out of answers.